Comments: Leporello, Hard cover 30,5×21,6, colors photographs, Edition limited to 200 copies. 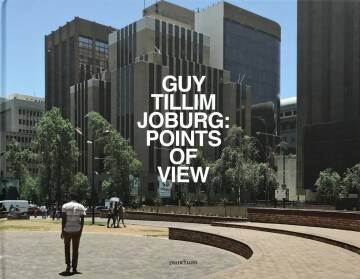 In Joburg: Points of View the artist returns to the city which he last photographed a decade ago. 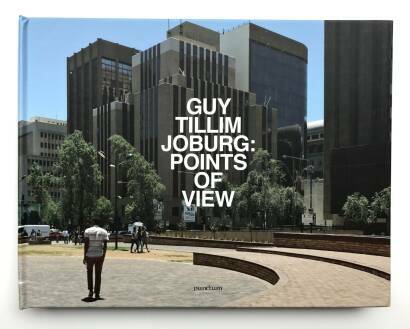 At that time, Johannesburg offered a provocation to Tillim’s understanding of documentary photography and debates around representing a politically contested landscape. More recently, the artist has been increasingly interested in notions of judgment and control around image-making. “In 2004 I spent four months in downtown Johannesburg. I saw the city then as a giant puzzle. My plan, to photograph small pieces at a time and put them together to create a portrait, soon seemed pointless in the face of the city’s infinite impulses that could not be contained in a manner of my liking. I couldn’t see everything and be everywhere. I realised that to suggest some kind of truth, it wouldn’t matter particularly where I was, but I’d have to let the place speak through me rather than trying to assign co-ordinates to a piece of puzzle. Of course the uncomfortable question then arose: who was I in this city, in this landscape?